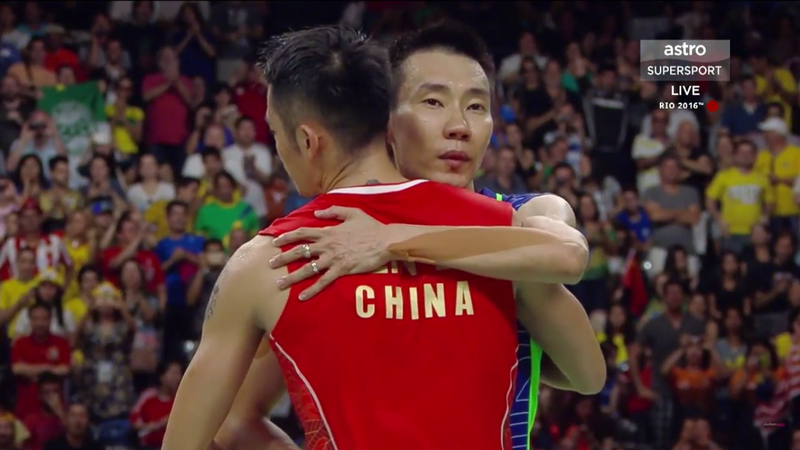 After what was possibly one of the most intense semi-final matches to ever air for Badminton in the Olympics, Lee Chong Wei emerged as the winner with the game ending 22-20 in favour of Malaysia. But aside from the touching scene of our national athlete on his knees from joy, seeing him get up to hug his coaches and then move over to his opponent for a friendly embrace in the name of good sportsmanship was heartwarming. Despite both parties worn out and drained from a well-played match, they were both still bright with smiles which goes to show how sports can bring countries together. They even went back for a second hug after exchanging their jerseys with one another. Malaysians who were there to support our player got some free hugs too! Congratulations Dato’ Lee Chong Wei and best of luck for the finals tomorrow!